It’s that special time of your life, and you have to decide where to go for your honeymoon!? Relax, we’ve got some great ideas for you! 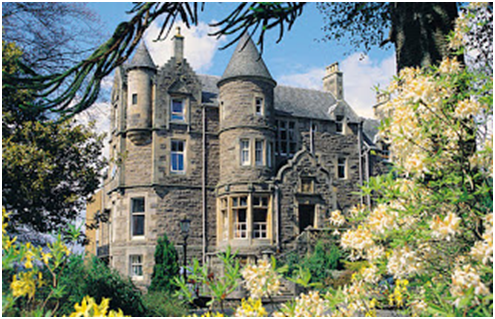 Take the romantic, special vacation, to the beautiful Scotland to enjoy what they have to offer! Here are 3 locations and hotels we recommend! Perthshire Now if you really want to relax on your honeymoon Perthshire is the place to go! Soak in all the history Scotland has to offer, especially Perthshire. Beautiful and humble towns and villages surround Perth as well as the lushes rolling hills of the southern Highlands. It really is a sight to see, especially if you love walking, cycling, mountain biking and watersports. Perthshire also has some of the finest trout and salmon fishing in Scotland!When staying in Perthshire, stay in a gorgeous castle that makes you feel like you lived in Perth during the simple days. Relax at Knock Castle Hotel & Spa, which strives for luxury and service; you will be sure to leave your honeymoon feeling fresh and relaxed.Knock Castle Hotel & SpaIt’s time to make a decision on where to spend your honeymoon, and we hope this quick guide helps with your decision making. Scotland has much to offer, and will be a beautiful and romantic getaway for you and your loved one. Now go out there, and book this once and a life time trip!